Born at London, England on 6 February 1851, son of Edward Drewry (1829-1926) and Caroline Starkey (1823-1860), brother of Frederick William Drewry and half-brother of George Drewry, he moved with his parents to St. Paul, Minnesota in 1860, where he was educated. He commenced a life-long career in the brewing industry. He brought his family to Pembina, North Dakota in 1875, then settled in Winnipeg in May 1877. 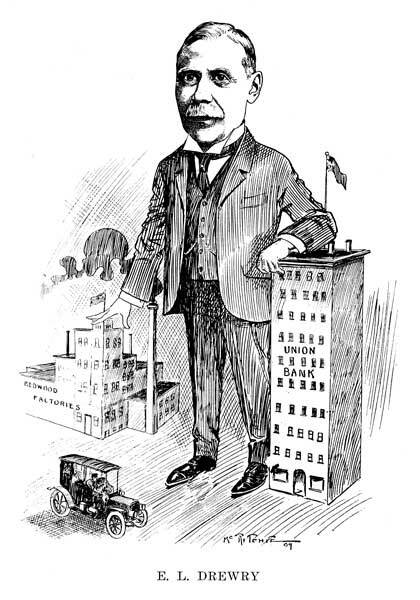 He took over the Herchmer and Batkin Brewery, which was idle, and operated it until he sold out in 1924. Along with the brewery he assumed possession of the home connected with it, Redwood, which had been built in 1857 by William Inkster. He served as chairman of the Western board of the Union Bank of Canada; president of the Garton Pedigree Seed Company. He was a member of Winnipeg City Council from 1883 to 1884, and advocated the introduction of street lighting and fire alarms. He was elected as Conservative member of the legislature for North Winnipeg in 1886, serving until 1889, and as the first chairman of the Parks Board from 1894 to 1899. 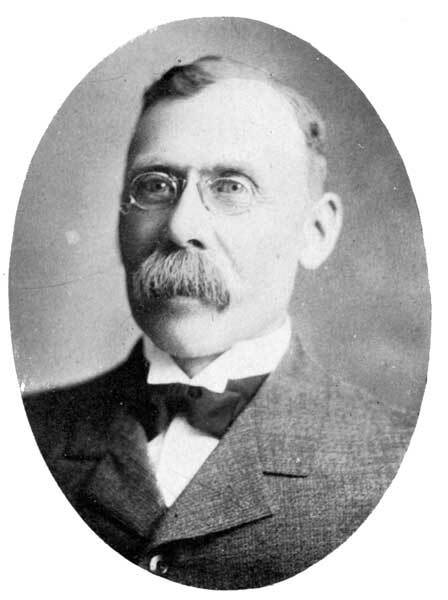 He served as President of the Winnipeg Board of Trade in 1900. For forty years he was a member of the board of the Winnipeg General Hospital, and he was one of the founders of Rupert’s Land Ladies’ College. On 5 August 1874, at St. Paul, Minnesota, he married Eliza Lile Starkey (1852-1922). They had nine children: Frederick Drewry (?-? ), Gertrude Casilda Drewry (1875-1955, wife of Abraham Code), Charles Edward Drewry, Emily Florence Drewry (1879-1960, wife of J. A. Machray), Liley Drewry (1882-1964, wife of Robert W. Paterson), William Starkey Drewry, Grace Pearl Drewry (1886-? ), Laura Augusta “Gussie” Drewry (1887-1972, wife of William D. Love), and Harold Arthur Drewry (1890-1959). He was a founding member of the St. Charles Country Club and the Winnipeg Automobile Club, President of the Winnipeg Rifle Association, and a member of the Manitoba Club, Adanac Club, Carleton Club, and Hunt Club. In 1910 he was listed by the Winnipeg Telegram as one of Winnipeg’s 19 millionaires. He died at Winnipeg on 2 November 1940 and was buried in St. John’s Cemetery. In 2005, he was inducted into the Winnipeg Citizens Hall of Fame. “E. L. Drewry, Winnipeg pioneer, dies,” Winnipeg Free Press, 4 November 1940, page 1.